This gallbladder flush is completely safe. It is estimated that over 3 million people worldwide have now carried out the gallbladder flush with no cases of adverse effects reported. Surgical removal of a gall bladder is a major operation that is costly and has a long recovery period. Hundreds of thousands of people all over the world have safely eliminated gall stones in a few days without pain, with a combination of apple juice, olive oil and lemon juice. Success rate is 95%. Therefore, this method is always a good first step. Purchase fresh apple juice or apple juice made from the frozen containers that require you to add water to make the juice. Just make sure that the juice comes from the refrigerated/frozen section of the stores. Drink 22 ounces of apple juice three times a day for 6 days. If you are diabetic, adding fiber will help prevent glucose issues. Add 4 oz of the frozen apple juice concentrate to a smoothie and drink it. Do this three times a day for 6 days. If you are diabetic, adding fiber will help prevent glucose issues. Eat normal but as fat-free as possible. Fat may cause you to begin releasing gall stones before they have been fully softened. On the sixth day, have no evening meal if you want to actually see the stones clearly. At 9 pm on the sixth day, take 1 or 2 teaspoons of Epsom Salts or Andrews Liver Salts dissolved in 1 to 2 fluid ounces (30 to 60 ml) of warm water. 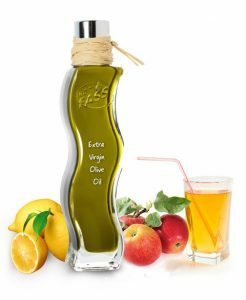 At 10 pm on the sixth day, mix half a cup 4 ozs, (120 ml) olive oil with 2 ozs (60 ml) fresh lemon juice. Shake vigorously and drink all down. IMMEDIATELY upon finishing the olive oil and juice go to bed and lie on your right side with your right knee drawn up toward your chin. Remain in this position for 30 minutes before going to sleep. This encourages the olive oil to drain from your stomach, helping contents of the olive oil to move into the small intestine. On the next morning the stones will pass and will be yellow grey or green in color and soft as putty varying in size of grains of sand to some as large as your thumbnail. You may have the urge to go to the toilet several times before the stones pass. You will not feel a thing but will be amazed at the results. Thousands have done this instead of major surgery. Return to option 1 or 2 for two more days. On the eighth day, return to step 1 of this section. If desired, you can double the dose of the olive oil and lemon juice. It is a good idea to flush your gall bladder at regular intervals. You can flush annually or every other year or every four to five years. Decide what works for you and maintain your schedule. If you have to flush more often than once a year, consider the possibility of an excessive amount of parasites in your liver releasing crystals to the gallbladder causing the stones to form quickly. In all cases, once you have gallstones, it is a good idea to do a parasite cleanse.